DESCRIPTION: CABIN 9 MAY BE RESERVED AS ONE UNIT OR SEPARATELY. THERE IS A CONNECTING DOOR BETWEEN THE UNITS. GOLDEN POND IS A VERY POPULAR UNIT BECAUSE OF ITS . . . DESCRIPTION: THIS POPULAR UNIT CAN SLEEP 10 GUESTS. RATE BASED ON UP TO SIX ADULTS. -- BAYVIEW LODGE, WITH ITS FANTASTIC VIEW OF WHITE SAND LAKE BAY, HAS ONE . . . DESCRIPTION: THE UNIT CAN SLEEP 10 GUESTS. RATE IS BASED ON UP TO SIX ADULTS. -- THE MASTER BEDROOM IN NORTHERN LODGE HAS ONE QUEEN WITH IN SUITE BATHROOM PLUS . . . DESCRIPTION: NEWLY REFURBISHED IN 2003 WITH BEDS, CARPET AND NEW BATHROOMS. CABIN 10 MAY BE RESERVED AS ONE. THERE ARE CONNECTING DOORS. THIS IS A GREAT CHOICE . . . DESCRIPTION: THE UNIT CAN SLEEP 17 GUESTS. RATES BASED ON SIX ADULTS. -- CABIN 11 HAS FOUR BEDROOMS. TWO MAIN LEVEL BEDROOMS, EACH WITH TWO FULLS. AND TWO LOFT . . . DESCRIPTION: THIS HAS TWO UNITS WHICH MAY BE RENTED TOGETHER OR SEPERATELY. THE FIRST UNIT CAN SLEEP 3 GUESTS. RATE BASED ON UP TO TWO ADULTS. CABIN 4A - FIRST . . . DESCRIPTION: EACH DUPLEX SLEEPS 10 PEOPLE. EACH PET IN GRAND VIEW EAST IS AN ADDITIONAL $100 PER WEEK. RATE BASED ON UP TO 6 PEOPLE. -- THE GRAND VIEW EAST AND . . . DESCRIPTION: REFURBISHED WITH ALL NEW BEDS AND CARPET IN 2003. CABIN 7 MAY BE RENTED AS ONE CABIN OR TWO SEPARATE UNITS. THERE IS A CONNECTING DOOR BETWEEN UNITS. . . . DESCRIPTION: THE UNIT CAN SLEEP 5 GUESTS. RATE BASED ON UP TO FOUR ADULTS. CABIN 2 HAS ONE BEDROOM WITH A FULL BED. THERE IS A GREAT ROOM WITH A WOODEN ACCORDION . . . DESCRIPTION: THE UNIT CAN SLEEP 7 GUESTS. RATE BASED ON UP TO FOUR ADULTS. CABIN 3 HAS ONE BEDROOM WITH A FULL AND A TWIN BED. THERE IS A GREAT ROOM WITH A WOODEN . . . DESCRIPTION: THE UNIT CAN SLEEP 8 GUESTS. RATE BASED ON UP TO FOUR ADULTS. CABIN 6 IS ALWAYS POPULAR WITH ITS LARGE SCREENED IN PORCH OVERLOOKING WHITE SAND LAKE. . . . DESCRIPTION: THE UNIT CAN SLEEP 6 GUESTS. RATE BASED ON UP TO FOUR ADULTS. -- NEWLY REFURBISHED IN 2004 TO INCLUDE NEW GLASS SLIDING PATIO DOOR IN MASTER BEDROOM . . . DESCRIPTION: THE UNIT CAN SLEEP 9 GUESTS. RATE BASED ON UP TO FOUR ADULTS. CABIN 5 BOASTS TWO BIG PICTURE WINDOWS OVERLOOKING THE WESTERN SUNSET. YOU MIGHT PREFER . . . DESCRIPTION: EACH CHALET SLEEPS UP TO 6 GUESTS. RATE BASED ON UP TO FOUR ADULTS. -- CHALET ACCOMMODATIONS WERE NEWLY BUILT FOR THE 2003 SEASON. EACH OF THE FOUR . . . DESCRIPTION: 1800 SQUARE FOOT REMODELED CABIN IN PHELPS, WI. 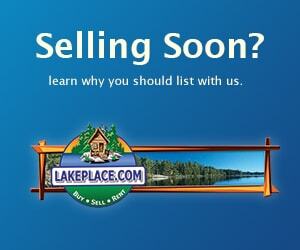 LOCATED ON 1580 ACRE BIG SAND LAKE. CABIN SLEEPS 8 (2 QUEEN, 1 FULL SIZE, 1 SLEEPER SOFA, 1 . . . DESCRIPTION: ENJOY SANDY BEACHES, SWIMMING, BOATING, FISHING AND SUNSETS ON BIG AND LITTLE NEWTON LAKES. IN THE WINTER MONTHS TAKE ADVANTAGE OF OUR CLOSE LOCATION . . . 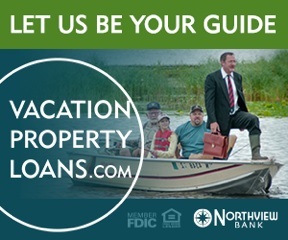 DESCRIPTION: RECONNECT WITH YOUR FAMILY, FRIENDS OR EVEN YOURSELF THIS SEASON WITH A NO-FRILLS VACATION IN THE HEART OF WISCONSIN'S NORTHWOODS. LEAVE YOUR . . . DESCRIPTION: THE UNIT CAN SLEEP 6 GUESTS. RATE BASED ON UP TO THREE ADULTS. -- BADGER LODGE OFFERS DIRECT ACCESS, VIA A GLASS WALKOUT, TO THE PATIO AND GREEN . 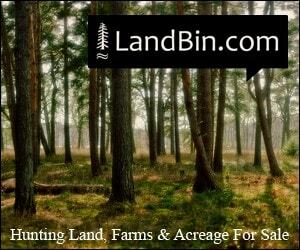 . .
18 Listings in Crivitz WI ..
15 Listings in Lac Du Flambeau WI ..
2 Listings in Phelps WI ..
2 Listings in Rhinelander WI ..